2019 is Pearl Yachts 21st year of trading and in just two short months the team have already clocked up thousands of air miles. Following a busy and successful Boot Düsseldorf in January, Pearl Yachts will soon head over the Atlantic to display the acclaimed Pearl 80 at the new Miami Yacht Show. Fresh from the company’s recognition at the Boat International Design & Innovation Awards in Cortina, Italy, where the Pearl 95 was shortlisted for three prize categories, the Miami show is a chance for the Pearl 80 to claim the spotlight, with its sporty lines and superb handling it’s perfectly poised to meet the needs of clients cruising the beautiful US and Caribbean waters. 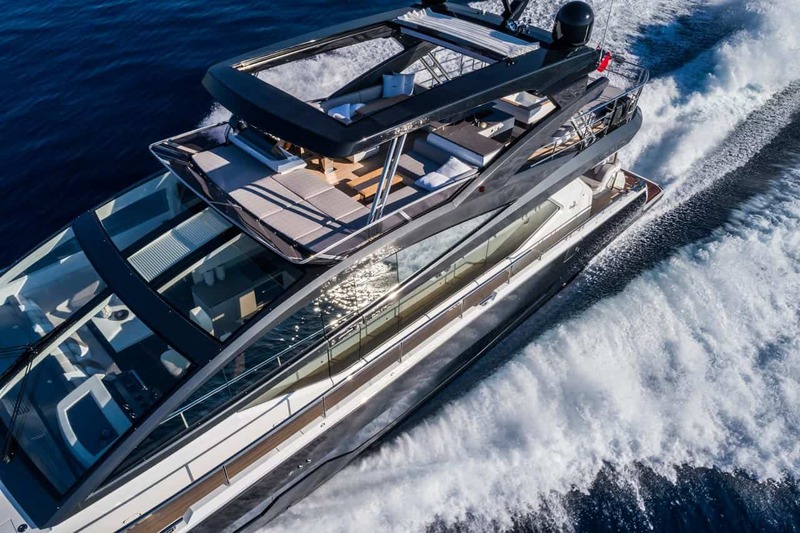 The Pearl 80 has been created for sun worshippers with no less than three external dining and sunbathing areas as well as garage to store all of the water toys. With a deep V high speed planing hull, the Pearl 80 delivers enviable manoeuvrability and speeds of up to 35 knots. The 80’s distinctive aerodynamic exterior lines have been contributed by Bill Dixon while the interior has been created by Kelly Hoppen. Available in three alternative schemes (Taupe, Studio or Luxury) clients have the choice of which ‘designer’ interior to choose from. With a stylish, sporty yet laid back character, Pearl 80 is perfectly suited to the warmer climates and relaxed attitudes found across the Atlantic.